Do you know who your neighbors are? Not everyone does, and it’s becoming more and more common. Many people attribute not knowing their neighbors to lack of time, while others to the design of our neighborhoods and homes. Another reason is that we travel between home and pretty much everywhere else by car where the garage door only opens and closes when we need to get in or out. It’s hard to approach the neighbors sometimes. You may never even see them outside the house. If you go knocking on doors, will they think you’re weird? Possibly. Here are some tips and tricks to help you get to know your neighbors. We could all use the exercise and you’re more likely to run into people outside where even a simple hello gets you started. Get to know the faces around your neighborhood, and maybe some of the names as you go through your fitness routine. Whether you are gardening, hosing down the driveway or just sipping lemonade on your front porch, at least you become more available for the simple drive-by wave or walk-by hello. Many people live in neighborhoods or complexes with associations or watch groups. Beyond getting more familiar with the CC&Rs, going to these opens the door to meeting others in the neighborhood that care about what happens there. More likely than not, they will also be the people that can introduce you to anyone else that might have similar interests in the area. Write invitations and hand deliver them to the front doors of the neighbors you would like to invite. You don’t have to plan a big formal affair, but rather a “bring your own” type party with a few appetizers, just enough to mingle with some familiar faces. If you just moved in, this is a great time to purge the items you probably shouldn’t have packed in the first place. 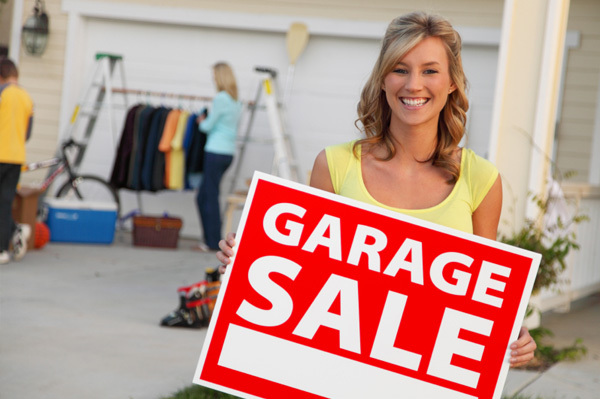 Having a yard sale, no matter how long you’ve been in the house, also forces you to remain outside in the front, and creates a path for neighbors to strike up conversations, and may even leave you with a buck or two extra in your pocket. Flyers about happenings in your neighborhood can wind up in your mail, on your mailbox and on your front door. Before you toss it out, be sure to check if it may be something worth going to for the sake of meeting others in the community. You can ask your neighbor for help with your home or yard or even just a referral for any contractors that you may need to hire to get work done around your house. Be sure to offer your help as well to unload the groceries, take out their garbage if they’re away, shovel snow or anything else that may come up. Whether you live in an apartment complex or quiet cul de sac, getting to know your neighbors is fun and provides the security of knowing who is nearby. Do you know who your neighbors are?